Just like last year, I have a Top Ten of what I call Heavy Rotation 2009. By the way, Happy New Year. These are the albums most played by iSaac and I this past year. Mind you, some of these albums actually came out last year, some came out a few years before, and some… much longer. I chose complete albums (rather than a few songs) that I’d let play mostly in its entirety. Since the majority of the album is great, I will limit myself to at most three songs per album. I choose three because that’s always been the rule of them back in the day when I (or my sister) would buy a CD. Why buy a CD for one song, right? I’m not ashamed to admit I started out as a Clef fan post-Fugees. 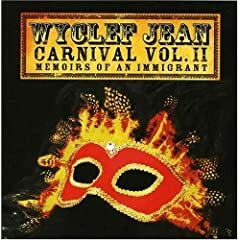 I loved the first Carnival album and heard good things about this album but never got around to purchasing it, much less hearing anything from it. I finally managed to get a copy by the end of 2008 and couldn’t stop listening to it since. 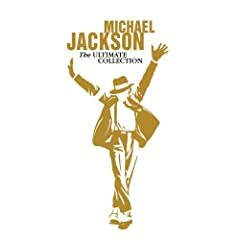 To make my choices of favorite songs easier, I’d say the first half of the album contains my most favorite songs: Sweetest Girl (Dollar Bill), King & Queen, and Fast Car. Two out of three of these songs have music videos I was unaware of until months after memorizing the lyrics to them. Like the first carnival, there are many different types of music styles going on and it’s a fresh feeling. Plus the lyrics are good. I like the guest spots too. And I’m breaking my own rule but I like Touch Your Button for its complete Caribbean party theme. For a good majority of my life, I had only heard a handful of Marley’s songs. Mostly I would just hear One Love or Jamming. It turns some of my favorite songs on this album are No Woman No Cry, I Shot the Sheriff and Stir It Up. The latter one being the most mellow and soothing to me during a stressful day at work. I immediately transport to some relaxing island. Most of the album does this to me though, and I like to play it every so often to escape the frigid New England… even when it isn’t that cold out. 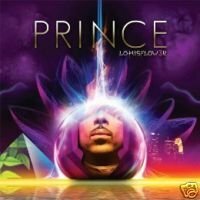 Technically this Prince album is made up of 3 discs, and can be considered its own separate album each. I don’t mean to confuse you, but that’s how the album was sold in stores (at Target). I can’t really choose between which of the two albums is better, but I have figured out that Lotus sounds like a “daytime” album and MPL sounds more for the night. My favorite track on the Lotus side is 4Ever. It’s just a beautiful love song. Actually there are quite a few pretty ones on here. On the MPL side, it feels a bit more like the party or club scene with the first few songs. Dance 4 Me is probably the song I play the most on this album. Most of these albums aren’t necessarily seamless, but they work very well playing from one song to the next. 7. 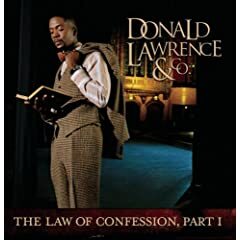 The Law of Confession Part 1 – Donald Lawrence & Co.
My sister and brother-in-law let me borrow this album, and for about a month I couldn’t stop listening to it. Not only was the music good, but the lyrics and meanings struck a nerve with me. Especially at that time when I was going through some things in my life, the album helped me spiritually. Oh yeah, it’s a gospel album. Somewhat traditional with the choirs and such… but it’s not really like choirs you might be used to. Back II Eden and There is a King in You are a couple songs that I played the most. This is a live CD too, just FYI. I remember buying this album around the end of the year, but couldn’t stop listening to it for a good half of the year. I also bought The Roots album around this time too. I listened to this album more so that’s why I’m writing about them. Don’t get me wrong, much, much love to The Roots. Notable songs I loved here: 20 Dollar Nose Bleed, Tiffany Blews and Headfirst Slide Into Cooperstown On A Bad Bet. To be honest, the songs released as singles would join this list… but I limited myself to three songs each, remember? 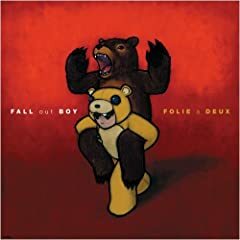 Like most Fall Out Boy songs, the lyrics are intriguing, but so is the music. I’m not really the biggest Jay Z fan. I like The Black Album and a few songs here and there. But I wasn’t expecting to pick up this album until I heard the third single, which I liked, and thus fulfilled the quota of album purchasing. Rather than tell you about the songs you already know, I will tell you about two that I really like. 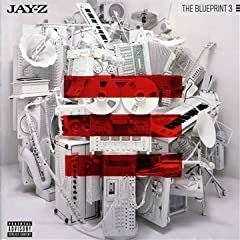 A Star Is Born is a song where Jay Z gives credit where credit is due. I think that song is pretty awesome just letting other rappers know that he has respect for them. J. Cole’s verse is nice too. Young Forever is just a very easy going song and a nice way to end a good album. I have yet to look up where the song is sampled from, but in the meantime I shall just enjoy it as is. Jay Z said he wanted to focus more on the instruments in these songs. I’d say he’d accomplished that and I approve. I had this album on a waiting list since forever ago. I feel really ashamed for such a thing because once I heard some of the songs for the first time, I was like… what was I waiting for? This is awesome! 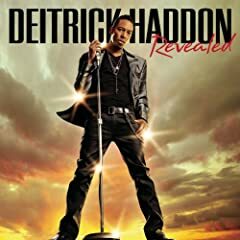 This is another gospel album but is not traditional gospel. There are influences of rock as well as hip hop/urban beats. I’ve already been a fan of his music for some time though. And before I forget, shout out to my Uncle Jazzy Jordon for being exec producer for this and Donald Lawrence’s album mentioned above. 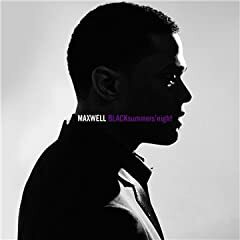 This album also touches me spiritually. Songs I like are Where You Are, Running to You and Ungrateful. This is actually another instance where it’s difficult to pick just three songs… so perhaps in the future this album will get it’s own post. Have you heard about this album? Or the fact that this very talented artist has been MIA for the past few years? And the fact that this is only part one of a trilogy? I’m so excited to hear the rest of this but for now, I must say that this album is excellent. This is what soul music is all about. This is what music in general is all about. Now I’m having difficulty picked a third song to note out so I’ll only do two: Pretty Wings and Help Somebody. Okay… I’ll include Love You. There is some soul-pouring in that one. The fact that I saw these guys in concert plays a huge role in why they are so high on my list. Not that they don’t deserve a big number or to be on my list at all, but you get the point. Once again, I’ll ignore the singles released because I liked those… so I’ll focus on the songs you’d need to hear directly from the album like the song burning ballad Last Night on Earth (which I actually listened to moments after watching a bon fire). I liked Restless Heart Syndrome. And I think my instant favorite was The Static Age. I’ll just throw in that when they played this song at their concert, I went crazy. 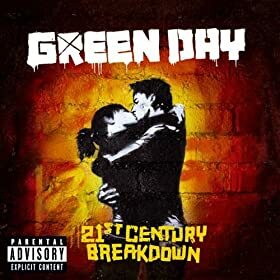 I also loved when they did 21 Guns because of a giant graphic of a gun on screen behind them that would fire at key moments. That and the sparks falling onto the stage. But did I just claim a fourth song? I don’t have a particular album. If you are like me, you have several album or just several songs to make up your own playlist of your favorite songs. I’ve had several before his tragic death, but one of my all time favorites since I was wee was Dirty Diana. I managed to pick up a few more songs after his death, a few that I had never heard or knew about but grew extremely fond of like Static Shock. Since this is MJ, I’ll just add two more. In The Closet I heard for the first time last year and grew attached. However I think the other most played song from him by me is P.Y.T. So that’s my Top Ten of 2009’s Heavy Rotations. My guess for this coming year might start with some ladies named Alicia and Gaga. But we’ll find out this December or next January. Hopefully I’ll be more consistent in my posting. It’s not like I don’t have anything to write about… trust me, I do.